How you start and end your day sets up where your point of attraction will come from and the better you get at this the easier it will become to crack the code of the law of attraction. Many people think the law of attraction is some new age bs and believe life just happens to them. You are a co-creator; your thoughts have incredible power. If you start out the day with “I am” affirmations that are positive your point of attraction will be positive, repeat the same process before you go to sleep. Flex your creative power every single day and you will find things will begin to slowly change for you. Some people have given up on cracking the code of the law of attraction because they say it doesn’t work for them. It is working every single day with mathematical certainty one hundred percent of the time. Don’t give up on changing your point of attraction; it will impact more than just yourself. Children are able to manifest things quicker than adults because of their ability to strongly believe. You need to build your beliefs and back those beliefs with emotion and you will really set your subconscious down the path to success. A quick tip is to use positive memories of anytime in your life and use that emotion to impress on what changes you want to see in your life in present tense. You need to believe things before you physically have possession of them, this is where it helps to have a great imagination as those mental pictures you create set out thought vibrations which help you become in alignment with your end goal. This is why children can manifest things quicker than adults, most have great imaginations until well-meaning or not so well-meaning adults squash it on them. You see you can’t perceive reality for someone, you can only perceive your own reality based on your own beliefs. This can take time to settle in your brain as it took time for me to grasp it to where it made a difference in my life. Here is another way to trick your brain into a great mental state, open your mouth as wide as you can and take a new pencil and put it sideways and bite down lightly or just smile as this will make a huge impact if you do it throughout your day. Most people are already masters of the law of attraction for negative things, they expect it, they say things like” if I didn’t have bad luck I would have no luck at all” or “It’s Murphy’s Law”. I did a post the other day on this type of self-talk and whether it is said outwardly or thought internally it has a negative effect on your subconscious unless of course you want to be a crap magnet your whole life. I know you don’t or you wouldn’t still be reading this so start making those positive “I am” affirmations as part of your daily ritual. Below are some great “I am” affirmations to get you started. I am successful in all areas of my life, and every day, in every way, I get better and better. I am special and extraordinary. I am not average, I have been custom made, I am one of a kind. Add as many positive affirmations to this and get to work on your new vibrant and successful life. Get a free gift here and learn how I have completely changed my health around right here. 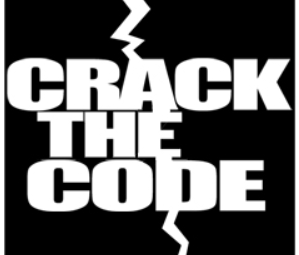 Thanks for stopping by and checking out my post on Crack the Code of The Law of Attraction.